design and also renovation/restoration in Sutton Coldfield. 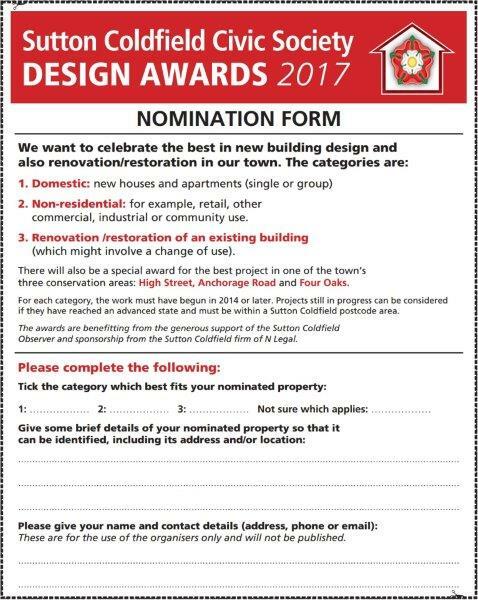 This is the form to complete if you wish to nominate a building in any of the categories referred to. Entries should be submitted to: Royal Sutton Coldfield Observer, CIN, Ventura Park Road, Bitterscote, Tamworth B78 3LZ and the closing date is 31st October 2017 .